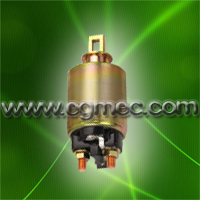 Solenoid valve coil under normal use conditions are generally not easily damaged. Solenoid valve is in case of burn should be a concrete analysis of the causes of damage and coil symptomatic solution, to be able to completely solve the problem. Simply replace the coil and can not avoid the problem happening again. 1.Solenoid valve coil poor insulation. Solution: replace the solenoid valve coil. 2.Solenoid valve axis and the axis of the core is not in a straight line. Solution: Remove the solenoid valve and re-assembly. If not resolved, try to replace the pipe or valve solenoid. 3.Supply voltage is too high. Solution: the supply voltage to the solenoid valve coil allows to restore the voltage range. 4.Spool is stuck, unable to drive solenoid valve. Solution: open the solenoid valve, check valve is being impurities stuck, check the spring hardness is too high, to repair or replace the appropriate parts. Electromagnetic pipe cleaning and re-assembly. 5.Tank port (T port) back pressure too high. Solutions: solenoid valve back to the port can not exceed the maximum working pressure of the standard value, or hydraulic oil will starve and can not move the spool, causing solenoid valve spool burned. Solenoid valve can refer to the highest standards of back pressure, check the cause of the high back pressure and symptomatic solution.